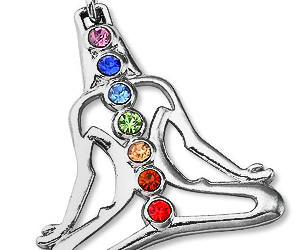 7 Chakra Crystal Pendant | Buy This Bling! Chakras are Energy Points or Nodes in the Subtle Body (not the Physical Body). 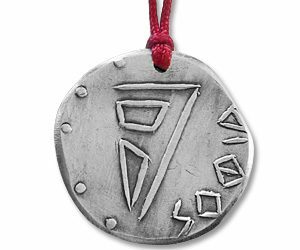 It’s a Sanskrit Word meaning “Wheel” or “Turning”, and that’s exactly what you do with this Pendant… Turn your Life around and Balance your Energy! The 7 Chakras in the Human Body are: 1st Chakra, the Base, or Root of the Spine, 2nd Chakra, below the Navel, called the Sacral Layer, 3rd Chakra is the Solar Plexus, the Base of the Rib Cage, 4th Chakra is the Heart, 5th Chakra is for the Throat, 6th Chakra is the Third Eye and it Lies an Inch above your Brow, and the 7th Chakra is your Crown, or the Top of your Head (Thoughts). Channeling the Chakras have been known to Heal such things as Joint, Lower Back Problems, Nerves, Digestion, the Heart, Lungs, Shoulders, Throat, the Respiratory System, Eye Conditions, and even our Brain... 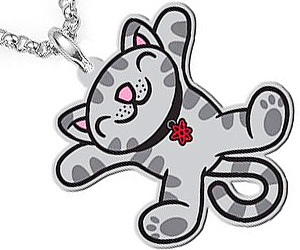 So pick up a Chakra Pendant and Balance your Psychological, Emotional and Spiritual State of Mind TODAY! 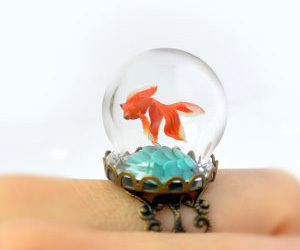 This Ring is Beautiful with a Goldfish in an Aquarium, Terrarium, whatever. It’s a FISH, under a Dome, that sits on your FINGER! AND, it looks so real. 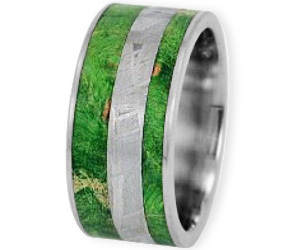 Great Ring, Beautifully Made! 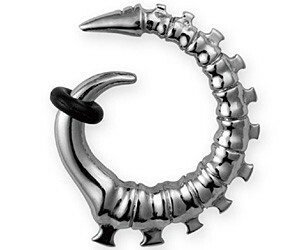 These are Possibly the MOST AWESOME CUFFLINKS ON THE FACE OF THE EARTH! I LOVE them! 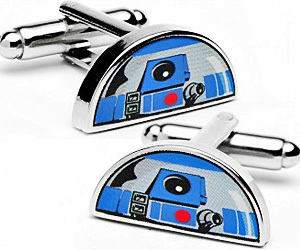 Featuring the Classic R2D2 Dome, in a Half-Moon Shaped Cufflink, these are just TOO COOL for Words! They are Beautiful, Geeky, and FUN!